It's May in my garden. The crocuses are just a memory now, and the early Daffodils have gracefully begun their exit as we welcome more tulips into the garden. Fresh green leaves seem to come from nowhere over night as each tree and shrub dons their best spring attire in every shade of an all green rainbow. 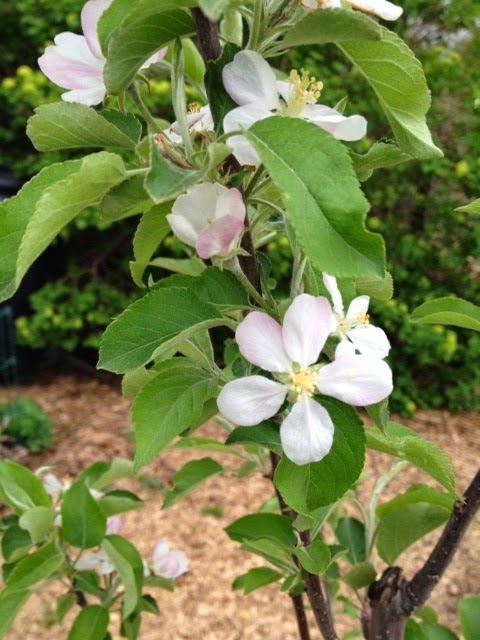 The apple trees are blooming, calling out to the bees, luring them in with promises of nectar and pollen. If the bees succumb to the temptation of an apple blossom, and how can they resist, I'll have crisp apples by late summer. 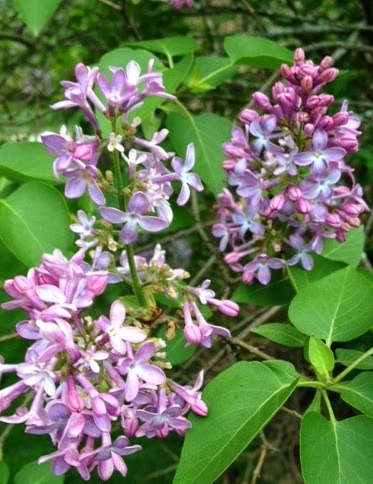 The common lilac begins to open its buds, releasing the scent of spring into the night air. The scent is so strong, I can almost smell it from the other side of the garden. All year I dream of the days of May, when the sun is warm, the sky is blue, the grass is green and the garden is all new again. Let the season of the garden begin anew. Happy May, Carol, my favorite month of the year! Since I retired last summer this will be the first year my former co-workers will not be receiving flowers from me for each of them to celebrate this wonderful month. This year I'm heading for the garden instead of work! I know you have been dreamin' of this day. It is to be a beautiful day. Cheers. My favourite month too. Happy May Carol. The crocuses still have blooms, the daffodils are just getting started, and the lilacs don't appear to know it's spring yet here. I think in another three weeks we'll be where you are now. Happy May Day! Your May dreams are becoming reality. I'm still waiting - and waiting. Happy May, Carol! I think my garden is still in March. We'll catch up later. The time we long for and patiently wait for has finally arrived when the garden is lush and fresh and new ! Enjoy! Best wishes for a month of beautiful new discoveries, Carol! Hooray for May! What a lovely trip through your garden. 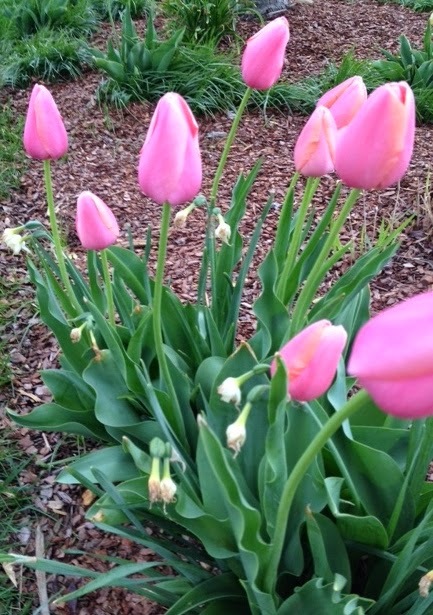 Love seeing the tulips, apple blossoms and lilacs--things we don't typically see here in Central TX. A belated Happy May Day to you, Carol! It's my favorite time of year, too, a wonderful time to spend in the garden.